When it comes to building muscles and that too in the most optimal way, there are different techniques and methods. Each fitness trainer or bodybuilding-success would propose and preach a different method. However, the most successful method of building muscles these days is Intensity training. Within the intensity training method, there are different techniques such as high interval intensity training and variation in intensity training. 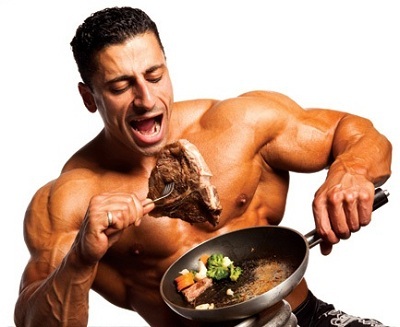 Body builders can use muscles building foods and supplements to get the desired results; however, to get the best results the intensity needs to have variation. The lines below give information on how you can build greater muscles with variation in intensity training. The first and foremost important thing in weight lifting is the amount of weight you lift. The load is measure in 1RM. In intensity training, the purpose of lifting weight is to induce hypertrophy in the muscles, as a result of which the muscles increase in size. When it comes to the intensity of lifting load, it has been proven that lifting weights up to 85% stimulates hypertrophy in the muscles the best. However, other researches also show that it’s the moderate loads that cause the most muscle gain. The reason why you should bring variation in your load from greater to moderate is because the moderate lifting of load causes more growth in muscle tissues as the muscles lift heavier weights under longer tension. The second important thing to remember pertaining to bringing variation in intensity training is volume. Usually the volume term is used to refer to the number of sets a person performs during training, while in specific terms it means the amount of work a person performs during a training session. Pertaining to variation in volume, there are different opinions in high intensity training. Some experts say that 4-6 sets of heavy weight is enough for optimal muscle growth, while there are others who believe that 20-25 sets per muscle are necessary for optimal growth. Although the opinions regarding the variation in volume vary, however, the general consensus is that lifting heavier weights for greater sets is the best way to induce muscles to grow and reach as optimal strength as possible. Besides the load and the volume of the lifting the other major important factor pertaining to high intensity training variation is the resting period. Regarding the resting period in high intensity training, there are also two opinions. One is to have at least 3minutes of rest between the sets as this much time is in which the muscles recover fully. In three minutes, the ATP and the CP recover fully. as they are the major sources of energy in the body, therefore, you have energy levels available to perform the next high intensity exercise. The second way is to have shorter rest period of 60-90 seconds with in the sets to induce muscle growth. This much time helps recover the ATP and CP to recover by 60-80 percent. This short resting between the sets induces greater hormone production and are best for hypertrophy with higher reps with more volume and light loads. In short, the best way to gain greater muscle is high intensity training. However, to make high intensity more effective you need to bring variation in your high intensity training as well, so that greater muscle growth is induced, and you achieve greater muscles in the most effective manner. thanks for sharing this great guide for building muscles.most important thing is hard excersize. and healthy diet.thanks again.